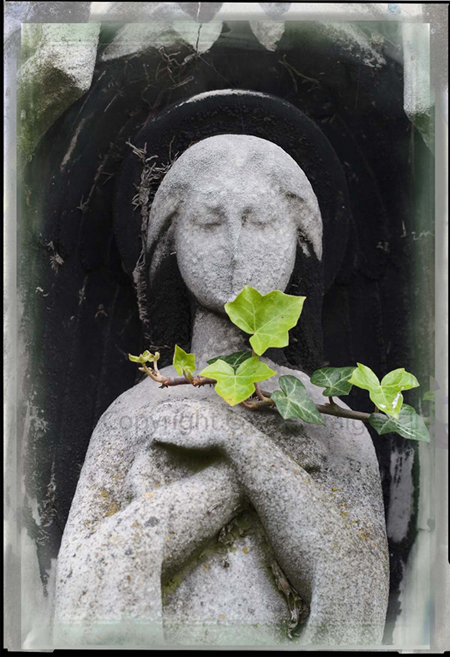 This entry was posted in Going Home and tagged death daughter, Faith Petric, Freight and Salvage, Grief, Kensal Green. Bookmark the permalink. Hiya Carol – it’s good that the worst is over. Hey I visited the Mission on Nov 2nd too – the Day of the Dead is still there but nothing like it was in the 80s/90s – much less people attending, less music and excitement, less artistic indut and effort. But still there. I am living in San Pablo, bought a mobile home in a wrecked state and have a mamoth fixup job to do. I was in a horrible hurry leaving Ireland because the Dept of Agricultute in Naas gave me numerous conflicting instructions regarding the documents and other requirements needed for travel with 8 animals (more than 5 requires an eu intertrade agreement because we were required to stop off in Frankfurt on the way to CA. ) The Dept of Ag first said all health certs pet passports etc had to be issued within a week of departure – so I sorted all that out, rabies vaccs, 3 in 1 vac, microchipping, health exams etc which since I dont and didnt have a car meant numerous trips around in taxivans w 4 pets at a time – it was also hard to do all by myself, except for a taxidriver – anyway then Dept of Ag said theyd made a mistake all the animals had to be reexamined and certs etc had to be reissued within 24 hours of departure. Naturally they never apologised for their idiot employees’ mistakes, or their rude brusque manner. (Im so glad to have left Ireland!) Lucky for me the vet reissued certs without me having to drag all animals out there to Clondalkin yet again but it was still an enormous hassle necessitating me to get myself, via bicycle and train, out to Naas, again, on the morning of departure, where, naturally, the Dept of Ag was of course experiencing a power outage and could not assist me until the power came back on. So I sat there for well over an hour, totally bricking it, wondering if after all this we were going to miss the flight. Then the power came back on. I got back home without enough time to finish packing and was running around the house with bin bags shoving things in. Unfortunately I left behind my notes for a novel about the Mission and my landlord tossed them and everything else out, mad at me because I didnt (have time to) tidy up after myself. Despite the fact that Id cleaned the house before I moved in, for free. Anyway I remember how you suggested I should stay in Ireland because leaving would be ‘such a wrench’. Leaving was a great idea, but losing my notes is what has been such a wrench. So now I know what you mean. Moving country is hard. Well, welcome back to America. Ciao. Sending a hug from afar…. Hi! It’s Abbey from the dog park. Such a moving piece! Here’s my email. Would love to get together. I send you warm wishes from Dublin. I still think of my mother, who died only a year ago. And in those memories I see her crystal clear as if she were with me. And as the shadow lessens I am alone, the band of love around me lessened. You did your mother proud. You did what you could do. And the wheel turns.